China in joint venture to build solar power plants in U.S.
A subsidiary of China’s GCL-Poly Energy Holdings Ltd has formed a joint venture with SolarReserve, a California developer, to build photovoltaic power plants in the United States. The deal, to be announced Thursday, marks a major bid by a Chinese solar company to enter a market dominated by European and U.S. firms. 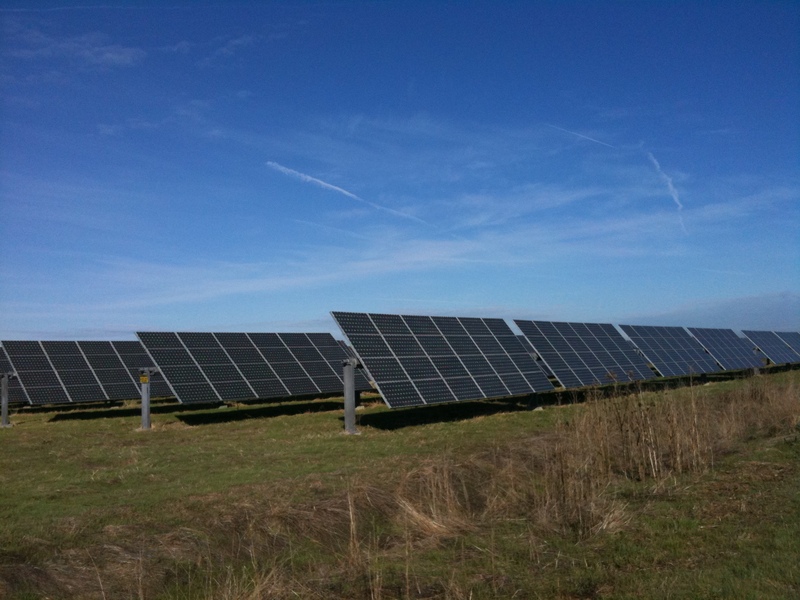 Last week, GCL obtained a commitment from Wells Fargo to provide $100 million in financing for its solar projects. GCL is China’s largest manufacturer of polysilicon and wafers used to make photovoltaic modules. The company also builds conventional power plants in China along with wind and solar projects. The state-owned China Investment Corporation owns a 20 percent stake in GCL. “We value the U.S. market as one of the most important markets for us and we wanted to get into the development side of the game,” Yumin Liu, president of GCL Solar Energy Inc, the company’s San Francisco-based subsidiary, said in an interview. GCL will acquire a 50 percent share of SolarReserve’s 1,100-megawatt project pipeline in photovoltaics for an undisclosed price. SolarReserve, based in Santa Monica, California, has focused on developing large solar thermal power plants using molten-salt technology licensed from United Technologies Corporation. This type of plant is not part of the joint venture. Kevin Smith, SolarReserve’s chief executive, said the startup last year began to acquire control of 40 sites throughout the desert Southwest that would be suitable for smaller-scale photovoltaic-power projects. The company hired Macquarie Capital to search for a partner to share development costs. He said that SolarReserve will handle land acquisition, permitting and negotiating power purchase agreements with utilities while GCL will oversee procurement of solar panels and construction. Work on 400 megawatts’ worth of projects should begin in 2011.